Jan Josephsz. van Goyen was a landscapepainter from the Netherlands. He was born in Leiden where he started his career, but he got his ecucation from the painter Esaias van de Velde in Haarlem. 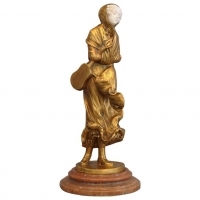 Around the year 1632 he moved to The Hague where he became the leader of Guild of St. Luke. Van Goyen was a very productive artist. 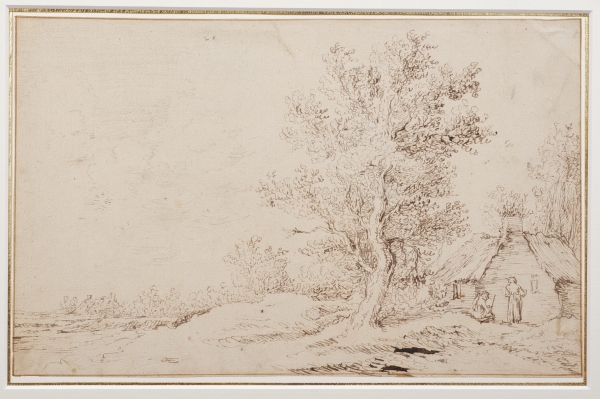 This drawing shows a large tree with a small farm and two people. On the background there is another small farm. It is one of the largest made in the early career of Van Goyen.